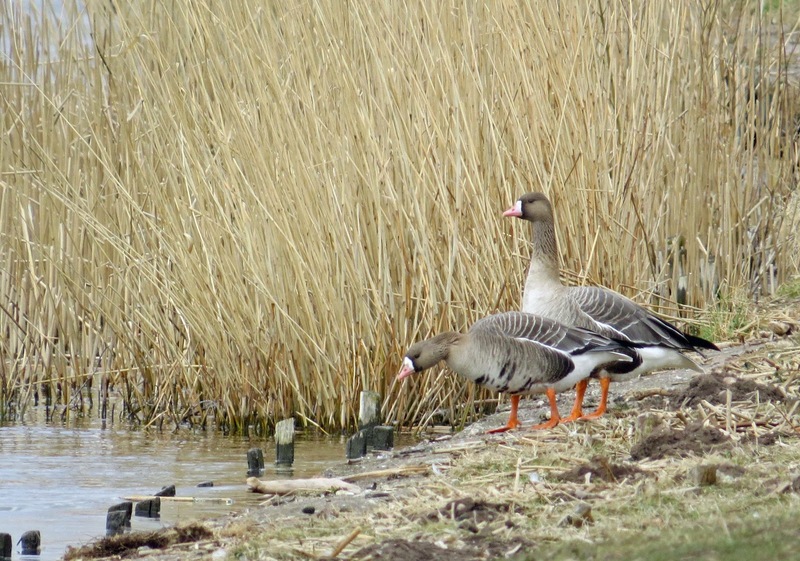 Eurasian White-fronted Geese - Gailey Reservoir, Staffordshire. With nothing much going on in my native Warwickshire I decided to head north into Staffordshire to see what was about this afternoon. 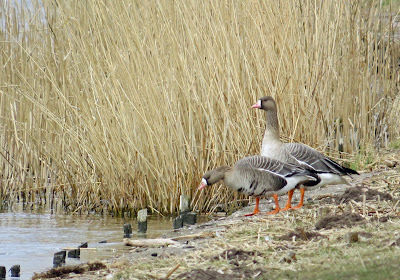 The first location was Gailey Reservoir where the pair of Eurasian White-fronted Geese were quickly spotted rested on the bank of the sailing section. These winter visitors from Arctic Russia have been present in the area since 4th February when they were found by Ian Moore. A Little Egret also dropped in along the same bank briefly before heading off north-east. Other species around this section include a 72 Tufted Duck, 5 Pochard and 2 Little Grebe whilst 12 Grey Heron were present around the heronry. Little Gull (1st winter) - Gailey Reservoir, Staffordshire. Over on the fishing section there was initially no sign of any Little Gulls amongst the 400 Black-headed Gulls despite a thorough scan from the causeway. After a while though I caught a glimpse of a distant first winter bird in flight in the extreme north east corner. Battling against the bitterly cold northerly winds I took a stroll down to where the bird had been present only for it to have disappeared by the time I got there. Other species included 5 Northern Shoveler and 22 Cormorant. As I reached the relative shelter of the fishing lodge I gave the area one last scan but to no avail. I was just about to move on when I noticed a small gull more or less under my nose. There just a few yards away was a smart looking first winter Little Gull picking morsels of food from the surface of the choppy water. 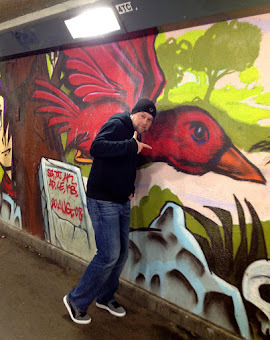 The bird continued to show very well indeed until I took the decision to thaw out in my car. A scattering of snow at Cannock Chase, Staffordshire. I then moved on to the frozen wasteland of Cannock Chase for my second visit of the week. Despite a wind chill factor that had to be experienced to be believed, I enjoyed a couple of hours hiking around with no sign of the usual fair weather mountain bikers and dog walkers. The highlight and quite a surprise was a fantastic ringtail Hen Harrier passing through with a supporting cast of Common Buzzard, Kestrel, Raven, 2 Woodlark and 24 Lesser Redpoll. I will keep the exact locations to myself in order to protect scarce breeding birds. One Good Tern Deserves Another!